Google continues to evolve in how they deliver search results to their viewers. They have made many changes to the criteria of what helps a website rank higher than a competitor’s. 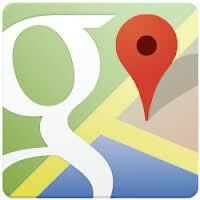 One of the most effective ways a local wedding professional can get good ranking is on Google Maps. However, Google is now changing their indexing of home-based businesses. Many wedding businesses that work from home have never listed their address on their website or in any type of advertisement because they were concerned that a customer could just show up at their house. A compelling website levels the playing field and allows a home based business to create as strong a perception of credibility and reputability as a business with a commercial location. This has inspired a number of wedding businesses to list their home address and just specify “by appointment only”. Unfortunately Google is starting to penalize businesses that do not have a commercial space who list their address on their Google Maps profile unless they have regular walk-in hours. A number of businesses have actually been de-indexed. For years they may have come up on Google Maps prominently for local searches but now their profile is nowhere to be found. Google has no problem with home-based businesses, but have changed their guidelines on how you should list your organization. According to Google, they only want to list “locations with regular business hours with the exact address. Your business location must be open to customers for drop-in during all of your stated hours, not just by appointment. If you only meet customers by appointment at your residential location, you’ll still need to hide your address. On your Google Maps listing, it’s best to leave it hidden as to avoid the listing being removed from Maps by our quality team. If customers do need to come to your address for certain transactions, you can provide this information on your business website or via phone.” More information on these guidelines can be found here. That’s Google’s position now but it is important to pay attention as these “rules” can change at any time and without warning, so always remember to stay on top of Google’s latest requirements and do a regular search of your listing.